Keywords:: School is where children should learn who they are! 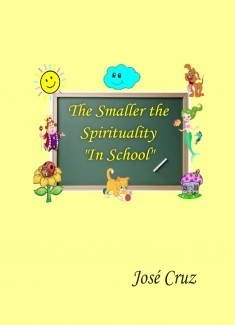 One day I was invited to give a talk about Spirituality in a school before I accepted this generous offer as always with an open heart, and totally free of charge as always I returned to school, not as a student I was. But to explain some of my experienced knowledge that developed over several Reincarnations, and now I bring this last bare life. I felt that most of the students were very spiritual. But did not identify them as such, some felt but did not know how to set these feelings, and what they could bring benefit to their still young lives. Others questioned me why they did this or that and what the relationship to Spirituality. I also noticed that the level of teachers, they too kept in ignorance about any part of this Ancient Science that has existed since the beginning of mankind, some of these teachers who felt more Spirituality, trying somehow to pass some of these reciprocal knowledge to students but more particularly, only between classes, due to not having had a basic education about this Science. And be used only to teach other subjects required by the imposition of the Society. It is through them that were formed. Faced with such an invitation put myself available to answer your questions in most of them, their parents and teachers, or had difficulty answering the topic or did not tell them anything, taking children to get adults to look perplexed. Which are questioned about themselves and those adults If they are already great and know so much, why I do not know how to respond or take my doubts! For this talk is not only the classroom, or only in the ears and hearts of those who attended. I decided to transpose such questions as the answers, developing a more Spiritual heart of the book, like so many others who have written in good faith and truthfully, through my Spirit Shining as always in times of no-mind, joining always the creative, which in most cases and nothing can also be felt by those who read them, equally. What often have such knowledge in the form of parables, for it is through this way that any human Spirit imparts its knowledge. Not by words or something kid, but general directions of contexts, which then must be meticulously cut short, for many people in general, to minimally understand some meanings. For later lead them to feel something more superior, in their deepest intimacy. For in that way can interpret, accept them, develops them and live them, heart humbly open to these things of the Sacred, which strongly outweigh any respect for the human mind is rationally designed to achieve.